To say that Robert Plant has re-invented himself does his lifelong musical curiosity and eclecticism a disservice. Plant's unique voice and musical sensibility — from the earliest Led Zeppelin days through his first '80s solo albums, to his collaborations with Alison Krauss, Band Of Joy and the Sensational Space Shifters — has always been set on a firm course of music discovery. 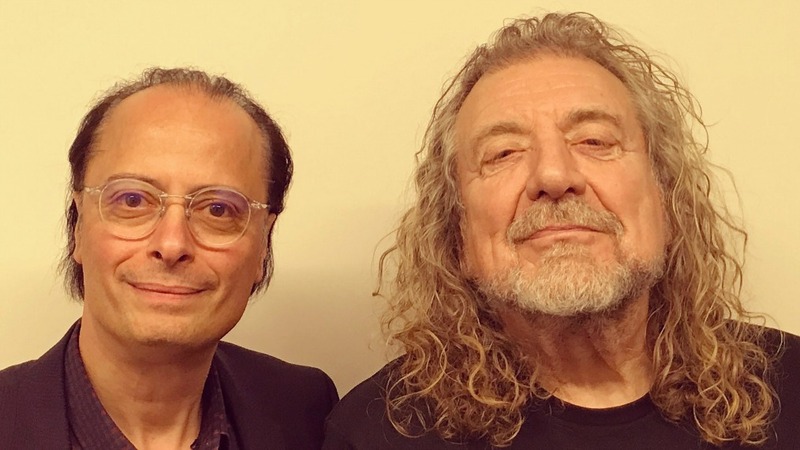 His particular taste for the spice and rhythm of Middle Eastern textures can be felt from Zep’s mighty “Kashmir” to the title track of the new album, Carry Fire. The journey in between is filled with as many surprising references and engaging anecdotes, as you would expect from a living legend of rock music. It's Robert Plant — with words and new music — on FUV Live.